Niklas Zennström, Jane Walerud and Jessica Stark. 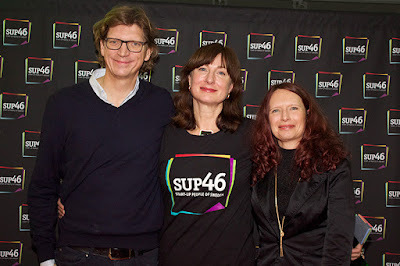 Yesterday evening I had the pleasure of attending the event where Jane Walerud, serial entrepreneur and angel investor (and a friend of mine), was inducted to the Swedish Startup Hall of Fame at SUP46 (Start up People of Sweden). 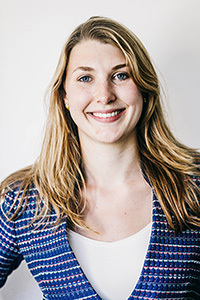 She thereby joins Daniel Ek (inducted in 2013) and Niklas Zennström (inducted in 2014). 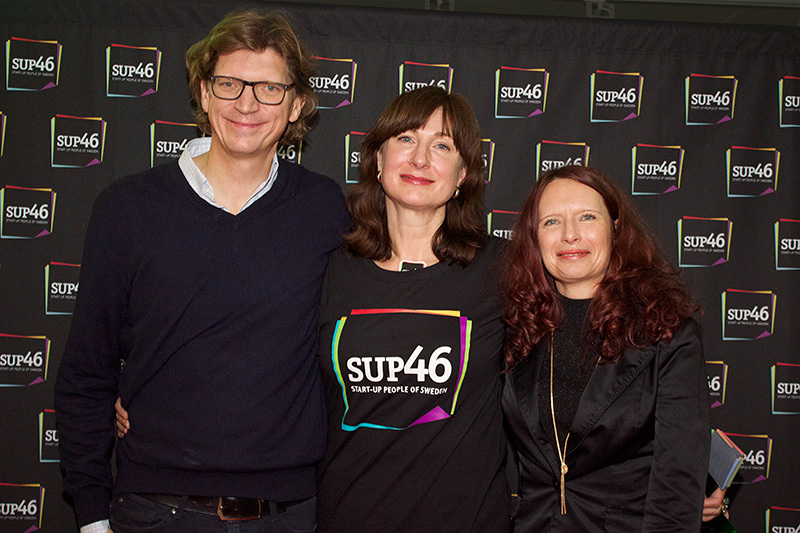 Last year’s inductee, Niklas Zennström, joined SUP46 co-founder and CEO Jessica Stark, in handing over the trophy to Jane Walerud. ”It is a great honor! I hope I can inspire other women from around the world to go for a career in entrepreneurship; it is exciting, profitable and educational”, Jane said after the award ceremony. Jane has participated in several of ESBRIs events over the years. 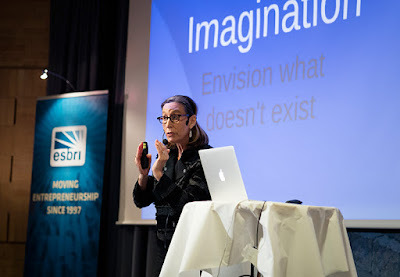 For instance, in 2013 she was one of the speakers at the Sweden-U.S. Entrepreneurial Forum and talked about lessons learned from a serial tech entrepreneur and angel investor. Congratulations to Jane, and to SUP46 for choosing her as a worthy third inductee to the Swedish Startup Hall of Fame! And for a great party last night! During one week each November, Global Entrepreneurship Week (GEW) engages millions of people in an active celebration of entrepreneurship. 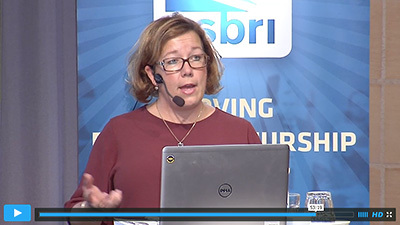 ESBRI is the country host for the Swedish GEW efforts. As part of our work with GEW, we asked some profiled Swedish entrepreneurs, and a couple of our GEW partners to answer a few questions – about their entrepreneurial journey and about GEW. 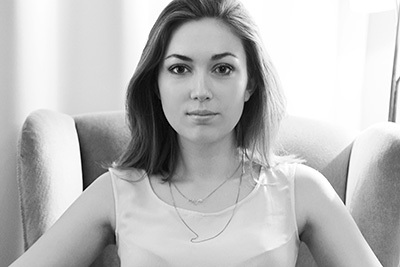 We talked to Noa Fridmark, the CEO and founder of NOA Potions. This Swedish startup manufactures Noa Relaxation, an award winning natural beverage that reduces stress and increases focus. NOA Potions won top honours in the best premium drink category in the last year’s World Beverage Innovation Awards, beating the major global players in the industry. Hi Noa, where did you draw most inspiration from while starting up your business? Professionally, I was at the top of one of Stockholm’s hottest companies that was about to go public. Despite an executive marketing title and a sizeable salary, I felt empty. Most of all, I just couldn’t stand for the company’s core values. So, I did it. I quit. Everything. It was the best decision I have ever made. My new home became an uninhabited island in the outer wilds of the Stockholm archipelago. This giant leap off the career path and away from the city was life-altering. Gazing out at the sea, serene in the presence of the moment, an intense calmness washed over my soul. It struck me that there must be other people who yearn to feel this way. How could I bring back the essence of my island to the cosmopolitan crowd in the city? A natural beverage became a way to share this feeling. For me, NOA Relaxation has become a symbol of self-inspection – who am I, what do I value? When you free yourself from society’s expectations you truly connect with your inner inspiration. It is my hope that NOA Relaxation will be an oasis in daily life to return to tranquility, a place where we reflect and focus on life’s more meaningful matters. What personal strengths have been critical for your success? To never give up and to not accept when people say ”that cannot be done”. Just because it hasn’t been done before doesn’t mean it can’t be done. Also to set your own standard of how you like things to be done and not focus too much on what others are doing. What is the greatest challenge that you have experienced in your entrepreneurial career so far? 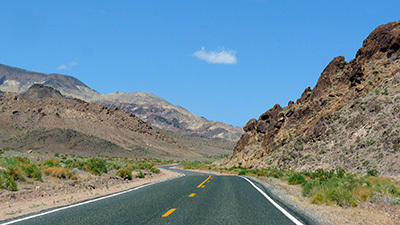 To keep up the speed and have everyone in the organisation understand and act on what we need to do to reach our goals. What is your view on Global Entrepreneurship Week (GEW)? Do you think an initiative like this can boost entrepreneurship worldwide? To me, it has been one of the best decisions ever to start my own business and I applaud GEW for being a catalyst that makes more people realise their dreams. Hi Karl, what is your definition of an entrepreneur? An entrepreneur is a modern name for an inventor, a person who sees possibilities where others see problems or challenges. Entrepreneurs have learned that what others believe to be the laws of nature might not be true. They are prepared to challenge them to prove that there are alternative solutions to everything. Where did you draw most inspiration from while starting up your business? I would say that I have been inspired by several things. Firstly, from my previous startup, an early e-commerce website that was translated into 11 languages and had 200 suppliers in 18 countries. I never learn as much as I do when I run these new business ideas. Secondly, I would say logic, as there is always logical behaviour behind any decision and sometimes it can be totally different from the expected one. But if you dig down deep enough you will see the connection to the logic for the person in question and it might be different from your own logic. By building solutions based on logical behaviour instead of trying to force the user to the logic that you created in your product, you will be far more successful. Thirdly, I would say research. As an entrepreneur, you have to know what research studies say. You don’t need to follow and believe them, but you should definitely study, understand and learn them. If you don’t agree, then make sure you can motivate your difference in opinion and understand why the research studies are wrong. Energy, productivity, multitasking and belief. I have a different type of energy, I don’t need to sleep 8 hours and during my office hours I am productive every single second of the day. I have been optimizing these things for many years and found many small things I can do to improve my delivery capacity. Working is good, but working without being productive is worth far less than working on the right things at the right time, prioritizing everything and changing priorities wherever needed. Things change all the time and you need to be able to change fast and firmly. For example, when we were shortlisted by CNBC as one of the world’s 20 hottest startups, we had to tell our entire team to throw all the previous priorities away and focus on the most prioritized tasks, based on this incredible news and the current situation. Everything has loading time, even your brain, so I multitask a lot. Yes, there are studies that show that you should not multitask too much but there are also studies saying that you should. There are movements like mindfulness and so on. I am not against mindfulness, I actually think that it’s great, but not all the time. You just need to know when to use which method. As an entrepreneur you will be questioned, you will be challenged, and you will be asked stupid and smart questions. If you don’t believe in what you do and how you do it, then it’s basically no point in doing it. People who are not entrepreneurs will only see problems and not possibilites. There will be challenges for sure, but they will only make you stronger in the long run, and make you learn a lot. The Pricelizer team at Internet Discovery Day 2015. To have to close down a business. A business for an entrepreneur is a baby, it really is something that you love and that you put so much energy into. Sometimes things don’t turn out the way you planned and you can find yourself at the point where you have to close down your business. It’s not something you will be happy about, but you will again learn a lot, which will be of great value to you in your future challenges. Learning to make the tough decision to close down your business is also a great power for the future. What is your view on Global Entrepreneurship Week? Do you think an initiative like this can boost entrepreneurship worldwide? I believe that this is of great value to the entrepreneurial community, but also to raise awareness and interest of others. There are many wantrepreneurs who need that extra kick to get started. Initiatives like this are a great way to encourage that. Entrepreneurs are always in a game of balance. How much should I spend on the product and how much on product exposure? 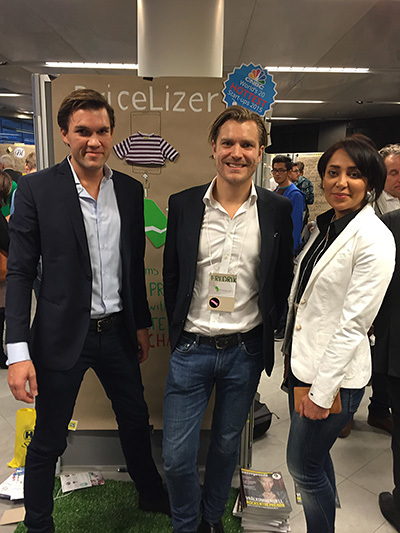 By attending events like GEW, Pricelizer gains a lot of good exposure and gets to meet press, consumers, partners, investors and potential customers. Michaela Holtz. Foto: Björn Mattisson. Hi Michaela, what is your definition of entrepreneurship? To me, entrepreneurship is a mindset. It is a problem solving attitude that builds on creativity, passion and curiosity, and it has business in focus. The inspiration for Zeifie comes from a deep understanding of the pain and the problem that we are trying to solve. It is such an important problem and the pain is felt by at least half the world population on a regular and daily basis. This has also made it impossible for me to give up, even though at times I have felt like I had no other choice. The importance of Zeifie has given it kind of a driving force of its own. Well, I’m not a success yet :). But my personal strengths as an entrepreneur have to do with accepting failure. I try, fail, learn and repeat. And that is due to being stubborn, a little naive and having a bit of stamina. I think this kind of initiative is very important for many reasons. It gives entrepreneurs a chance to learn from each other, create partnerships and find inspiration and energy. Andreas Carlsson har skrivit låtar till artister som Britney Spears, Backstreet Boys och Céline Dion. Han delade med sig av sina erfarenheter under GEW. Linnéuniversitetet har tillsammans med partners, för tredje året i rad, arrangerat en välbesökt entreprenörskapsvecka: 10 evenemang på två orter, och över 550 deltagande studenter och näringslivsföreträdare. 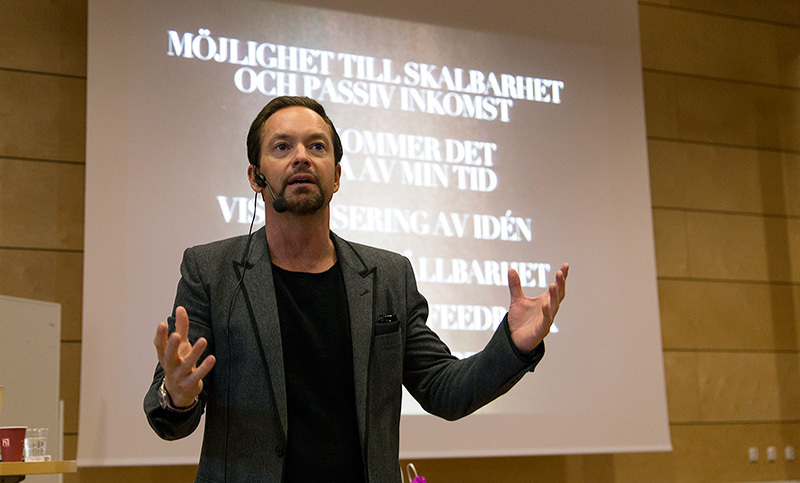 Föreläsningar, mingel och workshops har skapat inspiration, insikt och nya möten. Veckan invigdes på tisdagen, 17 november. 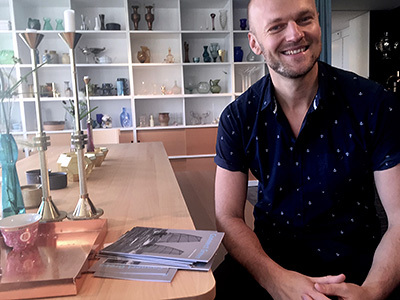 Då höll entreprenören och låtskrivaren Andreas Carlsson mycket uppskattade föredrag i både Kalmar och Växjö på temat ”Från idé till succé”. Under veckan har studenter sedan kunnat möta näringslivsrepresentanter under kreativa frukostar, entreprenöriella after works och digitala luncher. Vi har haft smarta föreläsningar med toppkrafter om såväl den nya delningsekonomin som sinnesmarknadsföring. Drivhuset Växjö har dessutom passat på att hålla sitt 20-årsjubileum i samband med GEW. För Linnéuniversitetet är denna vecka ett utmärkt tillfälle att göra skillnad och kraftfullt markera entreprenörskapets viktiga roll i lösandet av samhällets olika utmaningar. Att ge våra studenter inspiration och öka deras tilltro till sin egen förmåga att göra skillnad i olika sammanhang är så klart också ett huvudmål som styr vårt urval av aktiviteter. Den globala inramningen är också en bonus som tilltalar i dessa tider av växande murar. Alla kan träna upp sina entreprenöriella förmågor. Därför är det också vettigt att satsa på utbildning i entreprenörskap. Det var en av slutsatserna på gårdagens Estradföreläsning med Mats Lundqvist och Karen Williams Middleton från Chalmers entreprenörskola. Visst, man kan hävda att de talar i egen sak. Men det här är inte något de bara säger. Förutom att de har drivit entreprenörskola i snart 20 år, har de även forskat om ämnet. Utifrån det menar de att entreprenöriellt lärande rymmer en jättepotential på alla nivåer – både i termer av kompetensutveckling och värdeskapande. Och värdeskapandet behöver inte handla om ekonomiskt värde. Det kan lika gärna vara socialt, eller kulturellt. Det är lärarna på Chalmers entreprenörskola är noga med att poängtera för sina studenter. En viktig del i deras utbildningskoncept är att det ska vara mer än bara kognitivt lärande. Ett sant entreprenöriellt lärande måste även handla om att handla, och om känslomässigt lärande. Mycket går ut på att slänga sig ut och verkligen ta sig an verkligheten. I slutändan är förhoppningen att man ska känna sig mer entreprenöriell, att man ska våga mer. Om man startar företag eller inte, spelar mindre roll. Mats och Karen snuddade också vid ett annat aktuellt ämne. De poängterade vilken kraft det finns i att skapa något tillsammans, och vilken potential skapandet och det entreprenöriella lärandet kan ha i samhällsutmaningar som exempelvis integration. Om det sedan blir ett företag på kuppen, är det såklart ytterligare ett plus. Ett sådant exempel är Sjumilakokboken som har tagits fram av elever på Sjumilaskolan i Biskopsgården, Göteborg. Projektet går ut på att skapa en internationell kokbok, den är skriven på 11 språk, som visar på mångfalden som finns på skolan – och samtidigt öka elevernas stolthet över sitt kulturarv. Här snackar vi värde! Hela föreläsningen, som även var en del av Sveriges GEW-firande, finns att se som webb-tv. Och här kan du läsa mer om entreprenörskap i utbildningen. Hi Caroline, where did you draw most inspiration from while starting up your business? I'm driven by creating a positive change in the world, solving problems, and growing a great team and business. Volumental's big vision is to build a world that fits you: We're changing how the world designs, manufactures, buys and sells products. Through this we minimize returns, mass production and waste, we enable artisans, and make people happier through putting the individual at the core of product creation. Getting people excited about our cause and vision. Dedication and persistence. Curiosity, cheekiness and charm. What was the greatest challenge you have experienced in your entrepreneurial career so far? It's been an extra sharp learning curve to scale the company (and myself as a manager) to a team size that can't all sit in one room. Communication, transparency, and maximising individual freedom to make decisions, will continue to be central now that we scale up from twenty people! It's great to showcase more role models and paths to entrepreneurship. That will encourage more people to take the leap! 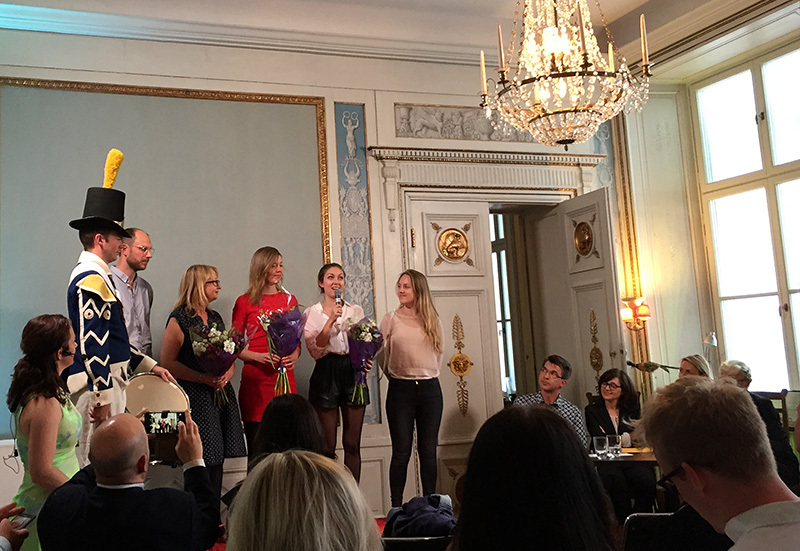 Sanna Nilsson and Codarica won the Swedish final of Creative Business Cup 2015. Hi Sanna, where did you draw most inspiration from while starting up your business? Before we even started Codarica we applied to a handful of startup competitions to validate our business idea. At the competitions we met a lot of inspiring people – both entrepreneurs doing the same thing as us, but also mentors and jury members. We could network with all different kinds of people, both the ones who had done the startup journey once, twice, or even more times, but also new startups with energy you could live on for a whole week. When we started Codarica, these were the people that inspired us to move along with our idea and actually start a business. I think it is very important to surround yourself with people who give you energy and inspiration - especially if you are on the verge of starting your first business. It is very scary to do this the first time, but I can promise you that it is the first step that is the scariest. By meeting people who are also just about to start a business, and people who are 18 months ahead of you, you get that very needed courage to take the first small step into becoming an entrepreneur. It’s so inspiring seeing people throw themselves into the unknown, just to make the world a little bit better. I’m stubborn, competitive, a dreamer and naive. I think the mix of these skills is what makes me an entrepreneur at heart. I have this unrealistic picture of the grand things we could do with our company, and by aiming high we don’t settle for less. We are never satisfied with just being satisfied, and we never ever give up. We have had our dark times as well when we all felt unmotivated, which is probably the case for all entrepreneurs. But you don’t give up on your dreams, so you keep on fighting no matter what. Good things come to those who wait, but better things come to those who work their asses off for it. There’s no other formula for success than that. Being an entrepreneur is challenging yourself on a daily basis. What’s been the greatest challenge is to keep pushing yourself to go out of your comfort zone - and also understand what that comfort zone actually is! Yes! I think GEW is great to highlight entrepreneurs, startups, and all the great initiatives out there to help us grow our companies. Creative Business Cup is a part of GEW and we participated as national winners, representing Sweden. This allowed us to go to an international event to pitch for people that we might not have met otherwise. There are so many of these kinds of initiatives that exist just for us entrepreneurs so that we can run better companies – what’s not to love about that? Hi Alan, where did you draw most inspiration from while starting up your business? The speed at which technology develops and changes has always been fascinating to me. This is something I knew I always wanted to work with, developing technology that would improve our daily lives. I have always been excited about building something with my best friends and starting a business was not just about work. It was a complete passion to create something big together with my friends. 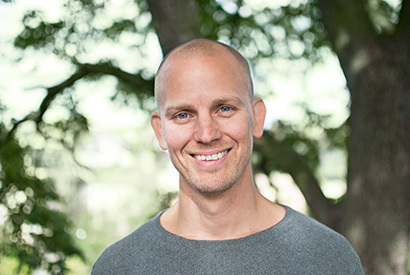 Then of course, companies like Google and entrepreneurs like Niklas Zennström gets you even more excited about the opportunities that are out there. I believe in working hard with commitment, and taking no shortcuts in order to make something ‘become great’ faster. Great things don’t just happen; they need thought and hard work behind them. In order to grow, it is essential to be able to adapt to new ideas quickly, and remain receptive to change. Something that I have learned while working with a great team, is that you can’t focus on your mistakes, and it is essential to continue to move forward with new solutions and ideas effectively. Focusing on mistakes, or past problems, can hinder innovation and cool new ideas. We try to learn and adapt every day. On a more personal level, finding that work-life balance is always a challenge for any entrepreneur. You obviously have a strong sense of responsibility to the company, and to your team. It is important to take time to recharge, and bring a fresh mindset to the team on Monday, after a weekend doing the things you love. I think that there has been a significant shift in how people view entrepreneurship during the past 5–10 years. I see more and more young people, straight out of school, who have a clear ambition to start something of their own. So an initiative like GEW is a good way to inspire people. De skrev Sveriges bästa uppsatser! Glada pristagare och prisutdelare när tävlingen Nytt&Nyttigt avgjordes 17 november. Nu har ytterligare ett spännande tävlingsår avverkats i uppsatstävlingen Nytt&Nyttigt. Uppsatserna började droppa in under våren och i juni var det högtryck i inboxen. Hela 69 uppsatser från de flesta av landets universitet och högskolor har tävlat, och en kvalificerad jury har efter ett tufft arbete utsett tre vinnande bidrag. 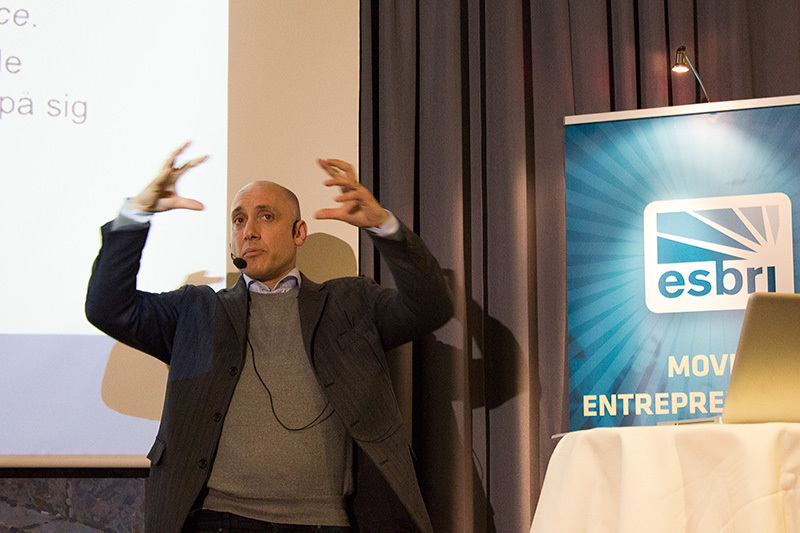 Årets vinnare korades i eftermiddags i samband med VINNOVAs årskonferens, ett evenemang som ingår i Global Entrepreneurship Week. Nytt&Nyttigt är en uppsatstävling som arrangeras av ESBRI och VINNOVA. Syftet med tävlingen är att uppmuntra studenter vid svenska universitet och högskolor att skriva uppsatser om innovation, kommersialisering och nyttiggörande. Varje år får vi massor av intressanta bidrag från tävlingssugna studenter så vi märker att tävlingen bidrar till nya och nyttiga idéer. Förstapriset och ett resestipendium om 30 000 kronor vanns av Jana Wenzlaff och Aakriti Singh. 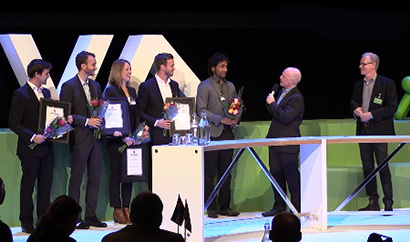 De har skrivit sin uppsats ”Leadership in Open Innovation: An exploratory study on the nature of R&D projects and predominant leadership characteristics in industry-academia collaborations” vid Umeå universitet. Studien lyfter fram många intressanta resultat och belyser ett antal utmaningar som hittills inte diskuterats nämnvärt i litteraturen om öppen innovation. Bland annat handlar det om vikten av ett klokt och lyhört ledarskap. Andra priset blev i år två, och båda gick till studenter från Chalmers! De tilldelades resestipendier om 20 000 kronor. Det första gick till Johannes Schygge och Martin Falk Danauskis för bidraget ”Proposing a Framework of Preconditions for Idea Adoption: A Case Study Investigating Adoption of Ideas within the Front End of Innovation”. I uppsatsen presenteras resultat som är centrala för hur företag formar sina innovationsprocesser, till exempel hur man håller en god idé vid liv, och dödar en dålig. Författarna fokuserar bland annat på hur viktigt samspelet är mellan olika faktorer för att en idé ska leva vidare. Och det andra andrapriset erhöll Amanda Palmqvist och Patrik Unevik för sin uppsats ”Exploring the Design and Use of Innovation Management Systems in Swedish Organisations”. 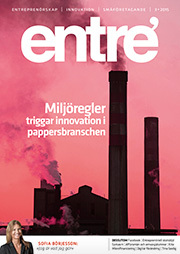 De fokuserar på hur innovationsarbete leds och organiseras i stora etablerade företag, och vilka komponenter som är viktiga för att lyckas. Eftersom de lyfter fram managementimplikationer ökas uppsatsens praktiska nytta. Juryn har detta läsår bestått av Martin Andersson, professor Lunds universitet, Magnus Aronsson, vd ESBRI, Sofia Börjesson, professor Chalmers, Chris Heister, landshövding Stockholms län, Jeaneth Johansson, biträdande professor Luleå tekniska universitet, Göran Marklund, ställföreträdande generaldirektör VINNOVA, Gunilla Nordlöf, generaldirektör Tillväxtverket, Sverker Sörlin, professor KTH, Joakim Wincent, professor Luleå tekniska universitet och Susanne Ås Sivborg, generaldirektör PRV. Ordförande för juryn är Charlotte Brogren, generaldirektör VINNOVA. Sammanfattningar av de vinnande uppsatserna finns att läsa på Nytt&Nyttigs webbplats. Snart är det dags för en ny tävlingsomgång. Vill du vara med och tävla om resestipendier? Eller känner du någon student som borde vara med? Inom några veckor kommer allt att vara riggat och klart för att anmäla sig! Nu är GEW 2015 igång! 160 länder. 25 000 partners. 1 entreprenöriellt ekosystem. Det är utgångsläget för Global Entrepreneurship Week (GEW) som drog igång i dag, över hela världen. ESBRI är värd för GEW i Sverige och hittills har 268 aktiviteter med entreprenörskapskoppling registrerats på den svenska webbplatsen. Jelena och Helene deltog i en av aktiviteterna i dag, nämligen ett förmiddagsmöte på Sida där Global Innovation Fund presenterades. Det är en fond som finansierar innovationer riktade mot utvecklingsländer. I morgon tisdag rullar GEW-programmet på med en mängd spännande evenemang. 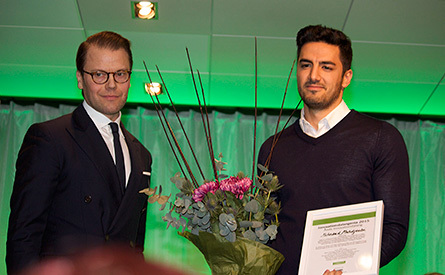 Bland annat arrangerar Business Region Göteborg Nyföretagardagen, på Linnéuniversitetet pratar entreprenören Andreas Carlsson om sin väg från idé till succé, och VINNOVA genomför sin årskonferens. Under VINNOVAs konferens kommer vi att avslöja de vinnande uppsatserna i tävlingen Nytt&Nyttigt, mer om det här på bloggen i morgon. 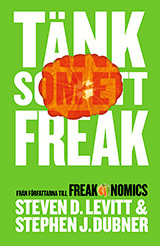 Jag har precis läst boken ”Tänk som ett freak” skriven av Steven D. Levitt och Stephen J. Dubner. Den kom ut förra året och blev mycket omskriven då men jag har inte haft tid att läsa den tidigare. I boken beskriver författarna på ett roligt sätt hur du kan tänka annorlunda oavsett om det är en irriterande vana hos dig själv som du vill ändra på – eller om du vill förändra hela världen. De menar att det gäller att släppa taget om alla de allmänt vedertagna sanningarna som vi alla hemfaller åt. Vi måste också släppa rädslan för att erkänna att vi inte vet – när vi inte vet. Och slutligen behöver vi lägga dagens misslyckanden bakom oss för att kunna lösa morgondagens problem. Det finns inga universalmedel för att hitta kreativa lösningar men det viktigaste är att inte göra som man alltid har gjort tidigare. Författarna lyfter fram många exempel på att det verkligen händer saker när man går ifrån det invanda sättet att tänka och handla. Ett av exemplen handlar om magsår. Förr behandlades detta med kostråd och syrahämmande mediciner, vilket fick resultatet att patienterna mådde sisådär medan läkemedelsindustrin däremot mådde prima. Det här var en lönsam jätteindustri. Men i början av 1980-talet kom en forskarstudent i Australien på att det troligen var en bakterie som orsakade sjukdomen. Han beslutade att testa teorin på sig själv och svalde en rejäl dos Helicobacter pylori som han odlat från en patient. Efter fem dagar hade han utvecklat symptom på magsår och botade sedan sig själv med antibiotika. Nu tog det dock ganska lång tid innan det här blev en allmänt accepterad behandlingsmetod eftersom det fanns så fast rotade åsikter om orsakerna till magsår. Till sist fick han 2005 års Nobelpris i fysiologi/medicin för sin upptäckt. Men det hade aldrig hänt om inte forskarstudenten tänkt utanför boxen. Det finns många fler inspirerande exempel i boken. 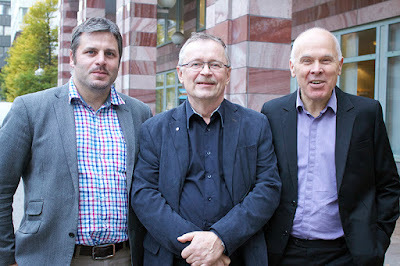 Martin Andersson, Håkan Ylinenpää och Hans Lööf. 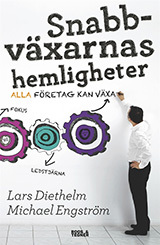 I tisdags lanserade vi rapporten ”Det innovativa Sverige 2. 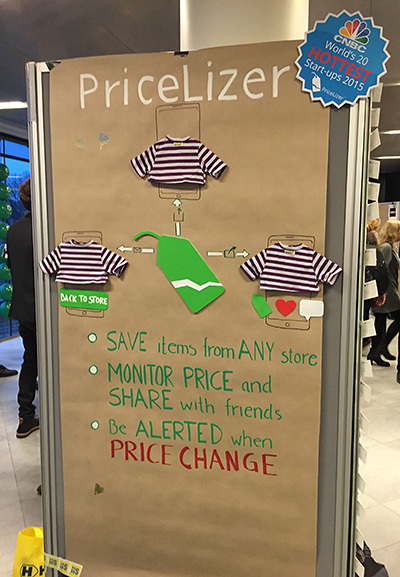 Innovation och attraktion i stad och på landsbygd”. 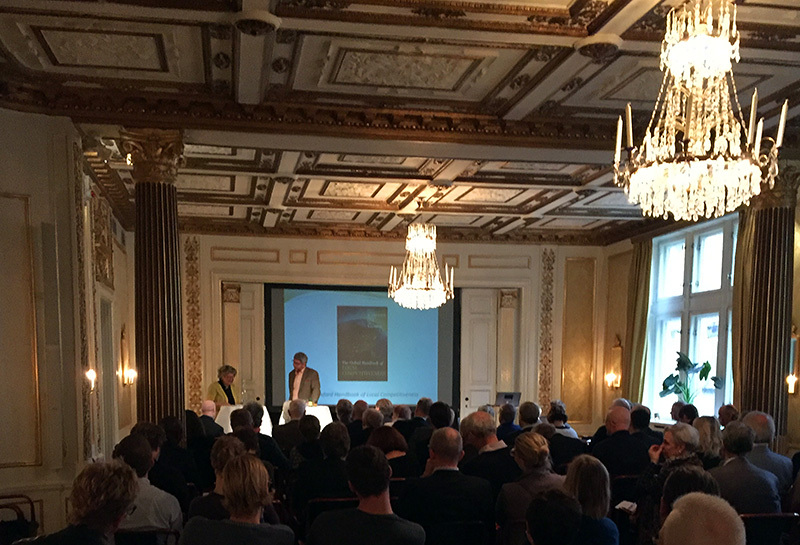 Vi smög igång lanseringsdagen med ett frukostseminarium för inbjudna policyaktörer, och på eftermiddagen arrangerade vi ett större, publikt evenemang. Rapporten är skriven av 13 forskare från tre VINNOVA-finansierade forskningscentrum, och utgiven av ESBRI och VINNOVA gemensamt. 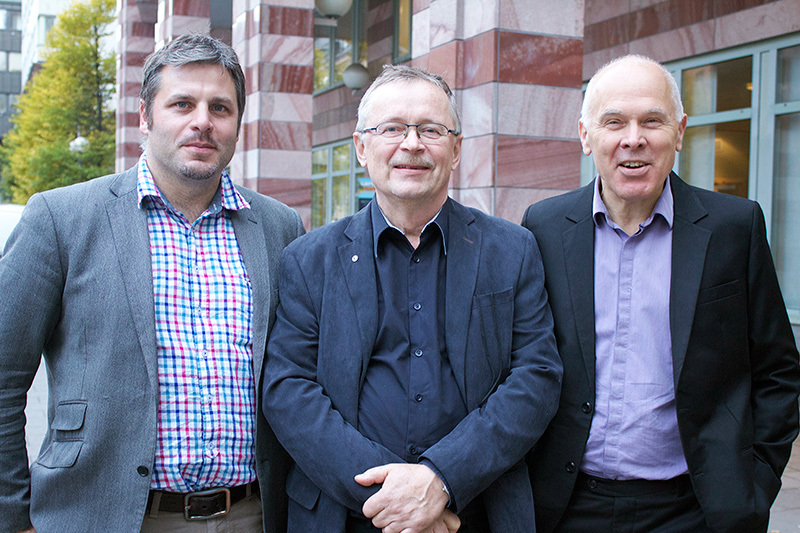 Under tisdagens lanseringsbegivenheter medverkade en författare från varje forskningscentrum, nämligen professorerna Martin Andersson, CIRCLE, Hans Lööf, CESIS, och Håkan Ylinenpää, CiiR. Hans Lööf fick förtroendet att inleda och runda av båda evenemangen. Han lyfte fram hur viktigt och spännande ämnet är, men också hur svårt det var att sätta sig in i. ”Hur skriver man om attraktivitet? Det kan tyckas trivialt, men blir svårt när man ska gå in på djupet”, sa han och berättade att de tog utgångspunkt i staden Nogales som delas i två halvor av ett stängsel. Den norra halvan, som ligger i USA, har en medelinkomst på runt 30 000 dollar om året. I södra Nogales, som ligger i Mexiko, är medelinkomsten en tredjedel. En av de stora skillnaderna här är givetvis just vilka länder stadshalvorna tillhör. Men liknande exempel finns inom samma länder, och även regioner. Vad är det då som gör en region attraktiv – för människor och företag? I Sverige är skillnaderna inte lika påtagliga som i många andra områden, men de finns likväl. En tydlig skiljelinje går till exempel mellan storstad och landsbygd. I storstäderna samlas kunskapen, och därmed dras företagen dit. De många attraktiva jobben drar till sig högutbildade människor, som i sin tur lockar dit ännu fler företag, i en ständigt uppåtgående spiral av dubbelriktat samband. Andra fördelar med storstaden är att det finns mer kapital, och en större mångfald av olika näringsgrenar. Kan vi bara glömma landsbygden då, eller? Nja, riktigt så enkelt är det såklart inte. Sveriges tre storstadsregioner, och särskilt Stockholm, må vara våra nationella innovationsmotorer, men innovation kan uppstå även på landsbygden. Kunskap filtreras nedåt i den urbana hierarkin och fångas successivt upp och vidareutvecklas av mindre regioner. Många av faktorerna som påverkar rörlighet av kunskap och människor, och i förlängningen attraktion, är svåra för policy att styra, poängterade Martin Andersson. I slutändan handlar det om 1 000-tals individbeslut, varav många inte går att policyplanera. Vart en nyutexaminerad student bestämmer sig för att flytta, exempelvis. Eller om någon väljer att knoppa av ett företag och starta ett nytt, och i så fall på vilken ort. Avknoppningsföretagandet är för övrigt ungefär lika starkt över hela landet, den stora skillnaden ligger i vilken typ av företag som startas. När det gäller kunskapsintensiva tjänster till exempel, är det storstaden som ligger längst fram. Själva metoden hur man mäter innovation spelar också in. Det vanligaste är att fokusera på innovationer som är helt nya för världen och att mäta med hjälp av patent. Håkan Ylinenpää slog ett slag för att vi även måste uppmärksamma innovationer som kanske inte är helt nya för världen, men ändå nya för en viss region eller för ett företag. Men då behövs nya mätmetoder, något som utvecklas och lyfts fram i rapporten. Och som ger resultat som möjligen kan höja något ögonbryn. Nämligen att Jämtland och Gotland placerar sig i innovationstoppen, tillsammans med Stockholm. 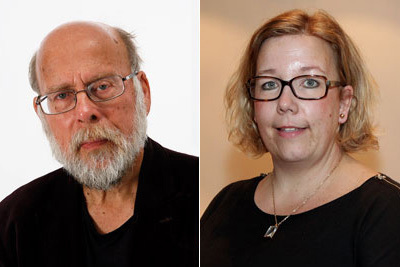 I eftermiddagens seminarium medverkade även Göran Marklund, direktör och ställföreträdande vd på VINNOVA, Jennie Nilsson (S), ordförande i näringsutskottet, och Hans Rothenberg (M), ledamot i näringsutskottet. Här har vi samlat allt om rapporten och lanseringen. Du kan ladda ner rapporten i sin helhet, och titta på webb-tv från eftermiddagens presentation. Hur hänger attraktionskraft ihop med generering av kunskap, ny teknologi, innovationer och tillväxt? Vad finns det för storstadsfördelar, och har de mindre regionerna någon chans att hävda sig i konkurrensen? 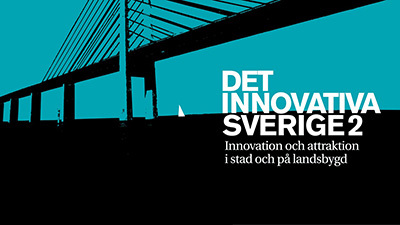 De här frågorna kommer att stötas och blötas på tisdag 3 november då vi lanserar rapporten ”Det innovativa Sverige 2 – Innovation och attraktion i stad och på landsbygd”. På morgonen kör vi ett mindre policyseminarium och på eftermiddagen öppnar vi upp för alla intresserade som vill komma och diskutera svensk innovationskraft. Tre av författarna, professorerna Martin Andersson, Hans Lööf och Håkan Ylinenpää, kommer att presentera rapportens huvudresultat. Därefter kommenteras rapporten av Göran Marklund (VINNOVA), Jennie Nilsson (S), och Hans Rothenberg (M). Vi hoppas också på många frågor och regionala infallsvinklar från publiken. Vill du delta? Läs mer, ladda ner rapporten och anmäl dig snarast! 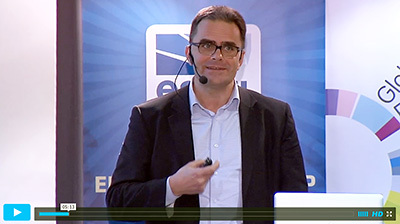 Om du inte kan vara med finns det möjlighet att följa livesändningen från seminariet på webben, eller se allt som webb-tv i efterhand. 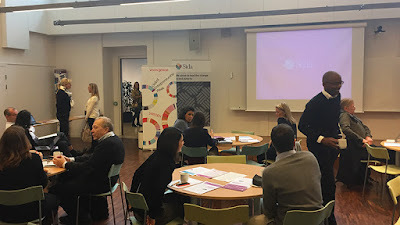 Häromdagen arrangerade vi på ESBRI ett frukostseminarium tillsammans med IVA:s projekt Attraktionskraft för hållbar tillväxt. Forskarna Mary Walshok och Örjan Sölvell diskuterade hur man kan öka den lokala konkurrenskraften. 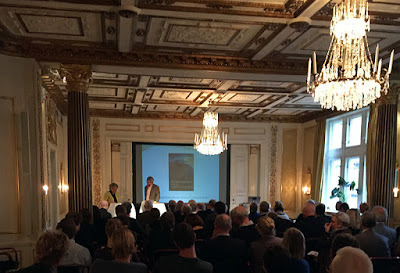 Seminariet utgick från boken ”The Oxford Handbook of Local Competitiveness”, där Mary Walshok är en av redaktörerna och Örjan Sölvell en av de drygt 40 forskare inom ekonomi och samhällsvetenskap som medverkar. Walshok känner väl till svenska förhållanden och då framförallt Stockholm eftersom hon har släktingar här och besöker staden flera gånger per år. Sölvell har i nästan 40 år varit verksam på Handelshögskolan i Stockholm och intresserar sig bland annat för klusterbildningar. I dag effektiviserar många stora företag sin tillverkning och behöver därför färre anställda. Det blir också allt vanligare att företag anlitar underleverantörer och fristående forskningsenheter. Numera kan fyra personer sitta i ett rum och driva ett globalt mångmiljonföretag. Det är naturligtvis nedslående när det blir nedskärningar med färre arbetstillfällen som följd, men de båda forskarna menar det finns hopp. Regioner som är bra på att samarbeta över olika branscher är oftast framgångsrika. Där finns plattformar där talangfulla personer kan mötas. Och en sådan region drar till sig kompetenta individer. Därigenom startar också fler företag och fler arbetstillfällen skapas. Stockholm är en sådan region. I Sverige startar ett stort antal företag men många läggs också ner snabbt. Det kan man tycka är alarmerande. Men betänk att personerna bakom företagen finns kvar. De står för kapital, kunskap och nätverk. Och de startar nya företag. Så det är egentligen de här individerna som är kapitalet, inte själva företaget. Det finns naturligtvis ett antal faktorer som måste beaktas för att man ska få ett framgångsrikt företagarklimat. Fysisk miljö, infrastruktur och lagar är bara några exempel. Vill du veta mer kan du lyssna på Walshoks och Sölvells presentation som ljudfil och du hittar Walshoks bilder här. Sölvell har skrivit en rapport som visar att Stockholmsregionen håller världsklass inom IKT-sektorn. 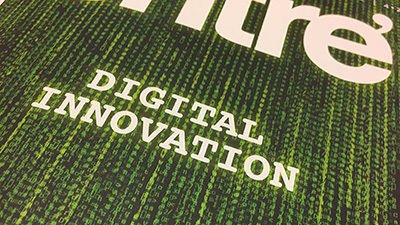 Titeln är ”Ekosystemet ICT & Digital. Kartläggning av styrkeområden i Stockholmsregionen” och du kan ladda ner den här. I tisdags arrangerade vi Estrad, talare var Bengt Johannisson och Caroline Wigren-Kristoferson. Jag hade tyvärr inte möjlighet att vara med den här gången men var förstås nyfiken på vad Bengt och Caroline skulle säga. Och eftersom vi både livesänder och lägger ut föreläsningarna som webb-tv efteråt kunde jag ta del av Estrad hemifrån, smidigt! Forskarna redovisade resultat från ett spännande projekt som de har arbetat med i tio års tid. De har genomfört djupintervjuer med fem manliga och tre kvinnliga entreprenörer som har varit banbrytande på olika sätt – och som dessutom i vissa fall har brutit mot svensk lag, och dömts för det. Flera av entreprenörerna var eller är pionjärer inom de kreativa näringarna. Lars Vilks har till exempel blivit känd för sin (ibland mycket) provokativa konst, Bert Karlsson är affärsman, musik- och politisk entreprenör, och Tilde Björfors tog nycirkusen till Sverige. Projektet har utmynnat i boken ”Radikala entreprenörer – rebeller och samhällsförnyare”. … drevs av viljan att vitalisera samhället och provocera det etablerade. … skapade något helt nytt. … dömdes i flera fall för brott mot olika lagar. Lars Vilks sålde konst för att kunna betala böter när han brutit mot bygglagar och andra regelverk. … insåg snabbt fördelen av att samarbeta med medier. Bert Karlsson fixade ett enormt bra marknadsföringstillfälle när han satt i fängelse. Då bjöd han in pressen och passade samtidigt på att lansera dansbandet Vikingarna. … har ofta familjer och barn som målgrupp. Tilde Björfors arbetar med marginaliserade unga och har också varit verksam ute i skolor. Bert Karlssons Sommarland riktar sig främst till familjer. Vill du också se föreläsningen? Den finns tillgänglig som kostnadsfri webb-tv. Vi har precis godkänt slutkorret på Entré nr 3. En ganska bra känsla såhär i slutet på veckan. Nu återstår bara den långa väntan tills vi får hålla nya numret i handen. Framsidan har en lätt dystopisk känsla över sig, men artikeln den refererar till är faktiskt positiv. Den handlar om att hårda miljöregler inte bara är bra för miljön utan även pushar på innovation och lönsamhet i företagen. Se där, en klassisk ”två flugor i en smäll”! Vi skriver också om slöjdläraren Janne Elo som menar att skolslöjden kan vara ett bra sätt att träna entreprenöriella förmågor, om datacenterboomen i Norrbotten, om att sociala entreprenörer lär av varandra, och om att globaliseringen inte är någon naturkraft. Känns som en bra blandning det här! PS ni vet väl att det är gratis att prenumerera på Entré? Connect Sverige arrangerar, tillsammans med Energimyndigheten, Connect Green Day i fem svenska städer under hösten: Göteborg 23 september, Stockholm 15 oktober, Luleå 20 oktober, Uppsala 12 november och Malmö 3 december. 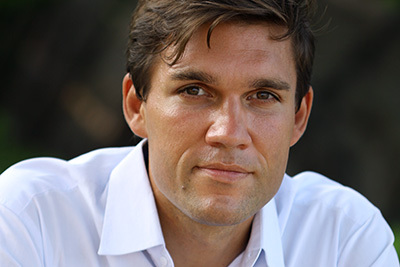 Martin Johansson är projektledare. Vi frågade honom om vad Connect Green Day är, och vad man kan förvänta sig som deltagare i evenemanget. Hej Martin, vad händer på Connect Green Day? 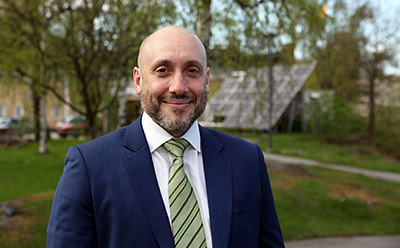 Projektet Connect Green är ett gemensamt initiativ från Connect Sverige och Energimyndigheten. Syftet är att skapa fler investeringsbara och säkrare investeringar. Vår miljö, och hur vi skapar framtiden med ny teknik, är ett av mina personliga favoritämnen så det är mycket spännande att jobba med Connect Green Day. Det är tredje året som vi kör och nästa stopp på den nationella turnén blir på Westmanska Palatset i Stockholm 15 oktober. Vi räknar med att locka 400 personer runt om i landet. I år vill vi fokusera ännu mer på entreprenörens internationaliseringsresa: Vilken verktygslåda behövs? Vad finns det för ”do’s and don’ts”? Vad fungerar, och vad fungerar inte? Berätta lite om turnéstarten i Göteborg 23 september! I Göteborg hade vi bra och intressanta paneldiskussioner. De frågor som belystes där kommer vi att diskutera vidare under vår dag i Stockholm. En sak som kom fram i Göteborg är att man måste individanpassa bättre för varje internationalisering så att bolagen får bättre genomslag på plats. Det går inte att slussa ut alla bolag i en och samma form. Vem bör delta i Connect Green Day? Connect Green Day riktar sig till både nya och erfarna entreprenörer och investerare, med tonvikten på etablerade företag inom miljöteknik som ska ta nästa steg i sin affärsutveckling. På de olika stoppen runt om i landet har vi talare som är entreprenörer, och som har gjort internationaliseringsresan. Vi har också organisationer på plats som hjälper svenska företag med sin utlandsetablering. De berättar om vad man som entreprenör kan få för stöd. Connect Green Day är även ett forum för investerare som vill göra sin första investering i miljöteknik. Under 2016 kommer vi att arrangera fördjupningsseminarium för just investerare som vill göra bra investeringar i svensk miljöteknik. Varför har ni valt att fokusera på miljöteknik? Miljöteknik har koppling till innovation och ny teknik, det är något som vi jobbar med generellt i organisationen och det anses vara en av Sveriges framtidsbranscher. Ämnet är aktuellt då vi står inför stora klimatförändringar. Ny teknik kan eventuellt bromsa den utvecklingen. Vi på Connect är inte branschnischade, men just för detta tillfälle har vi valt att göra nerslag i en specifik bransch för att arbeta med det som vi kan bäst: Kopplingen mellan entreprenörer och investerare. Det händer mycket kring årets tema ”Internationalisering”. I förra veckan etablerade sig svenska miljöteknikbolag i Indien till exempel. Vi belyser även den sociala aspekten. Mycket går hand i hand när det gäller just miljöteknik: ekologiskt, ekonomiskt och socialt företagande. För att Sverige ska kunna bli framgångsrikt när det gäller att internationalisera miljöteknik krävs nya modeller och samarbetsformer som inkluderar aktörer från flera marknader och länder. Vad är ert mål med dagarna? Självklart har vi fokus på kontakter, nätverkande och, återigen, att få fler att investera i svenska miljöteknikbolag. Vi vill flytta fram positionen för svensk miljöteknik ute i världen. Under 2013-2014 medverkande 107 bolag i Connects olika affärsutvecklingsprogram och 68 bolag har mött investerare landet runt. Det tänker vi slå de kommande åren! Redo för det radikala entreprenörskapet? På tisdag är det föreläsningsdags igen, denna gång med två Estradveteraner: Bengt Johannisson och Caroline Wigren-Kristoferson. De kommer att prata om så kallade radikala entreprenörer – personer som tänjer på regler (och ibland bryter mot lagar) för att förverkliga sina idéer. Bengt och Caroline har intervjuat åtta svenskar som kvalar in som ”radikala entreprenörer”. Däribland en vildavästernvurmare, en cirkusdirektör, en operafantast, och en som har grundat ett eget land. Forskarna menar att det finns mycket att lära av dessa vildbasare, och att vi skulle behöva mer av deras entreprenöriella olydnad i Sverige. De har samlat sina resultat i boken ”Radikala entreprenörer – rebeller och samhällsförnyare” som gavs ut av Studentlitteratur i våras. ”[…] entreprenörskap kan ses som en granne till civil olydnad”, skriver de bland annat, och det ska bli kul att höra dem utveckla resonemanget på Estrad. Jag hoppas på bra diskussioner och synpunkter från våra deltagare också!